Tom Hendry, President, Owner Office: 239-303-0099 X301 Email: thomas_hendry@hendryaluminuminc.com Tom is a native Floridian who was born and has remained in Lee County his entire life which makes him uniquely knowledgeable of this area’s construction industry. 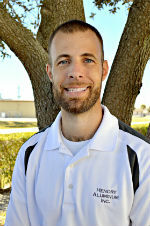 After graduating from Cypress Lake High School he began working in the aluminum industry as a delivery driver. From there he did various jobs in aluminum until he decided to get his specialty contractor’s license in 1987. Teresa Hendry, Treasurer, Accounts Office: 239-303-0099 X302 Email: teresa_hendry@hendryaluminuminc.com Teresa was born and raised in West Virginia. She decided to move to Florida in 1982. Shortly thereafter she met Tom and they were married in the fall of 1985. She is not only the owner’s wife she is also an officer for Hendry Aluminum, Inc. She is in charge of all accounts receivable, accounts payable, insurance certificate requests, and is a notary public. You can always count on Teresa to share a goodhearted laugh with you -but you have to be careful; she also has a quick wit! 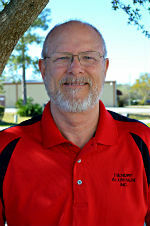 Tommy Stearns, Operations Manager Office: 239-303-0099 X303 Email: tommy@hendryaluminuminc.com Tommy is Tom and Teresa’s son-in-law. 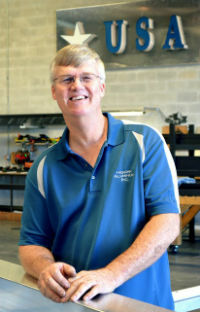 He began working for Hendry Aluminum in 2001 as a shop helper. It was important to Tom and Tommy that he learned everything from the basics and work his way up the company ladder without special treatment. Tommy was an installer for over 10 years and has been taught many things in his apprenticeship with Tom. He is now the operations manager and has many duties including hiring employees, material orders, job scheduling, shop management, and field supervisor. Tommy is a hard worker who takes pride in his work and in our company! 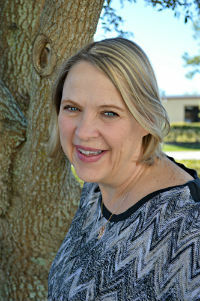 Crystal Stearns, Office Manager Office: 239-303-0099 X300 Email: crystaldstearns@hendryaluminuminc.com As the owners’ daughter and the operation manager’s wife, Crystal wears many different hats. Her duties include creating and updating customer files, permitting, advertising, updating social media sites/apps, helping with job scheduling, customer service, and much more. 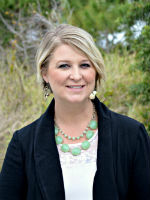 She loves her job and working with her family. Bob Bancroft, Sales Manager Office: 239-303-0099 x 305 Email: bob@hendryaluminuminc.com Bob has been a part of Hendry Aluminum since 2010. Before coming to work as our salesman, Bob was in the Florida agricultural industry for over 40 years. He took a brief time off to help out a fellow farmer before realizing it was too late: he already had aluminum in his veins! He has the ability to talk with potential clients making sure they understand how our products are different than anyone else’s in our industry. 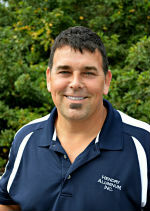 He has a good understanding on the different types of products available and knows how to explain that to homeowners. He is detail oriented and caters to his clients needs. No matter how big or small the project Bob will see you through it! Ty Ferus, Salesman Office: 239-303-0099 x 304 Email: tyferus@hendryaluminuminc.com Ty has been a Florida resident for over 20 years and has been in the aluminum industry for over 15 years. He began installing cages after graduating high school in 1999. As a sales team member his knowledge of how enclosures are built and installed gives him a great advantage. Ty is able to provide clients with several options to maximize their outdoor living space while staying within their budget. From start to finish you can count on him to be with you every step of the way.